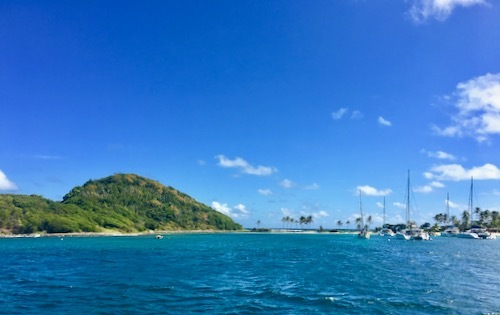 This is an example of our Caribbean adventure sailing trip which includes the incredible islands of Grenada, Ronde Island, Carriacou, Sandy, Union and Happy Island, Petit St Vincent, Tobago Cays, Mayreau, Bequia and St Vincent! 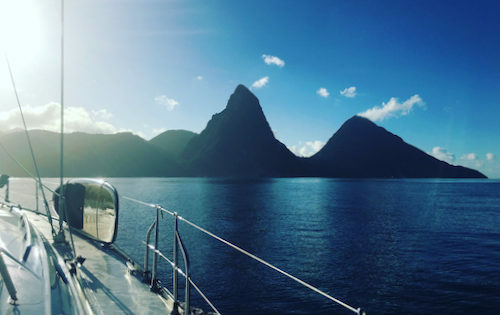 This is a great way for those of you travelling solo, as couples and small groups to enjoy a shared cabin charter, get hands-on sailing practice, dine on delicious food and have a great time sailing around the Caribbean. Oh, and get a tan in time for all those Christmas photos ;-). 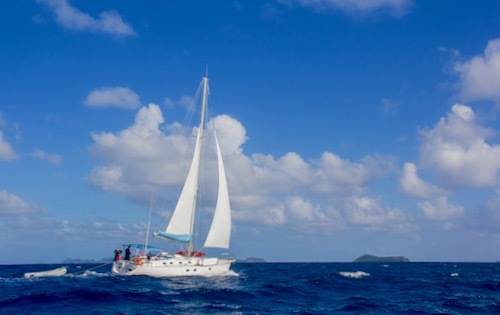 Meet Sam and Neil and the other guests at 14:00 (2 PM) in Port Lois Marina in Grenada. The airport is approximately 25 minutes away in a taxi. 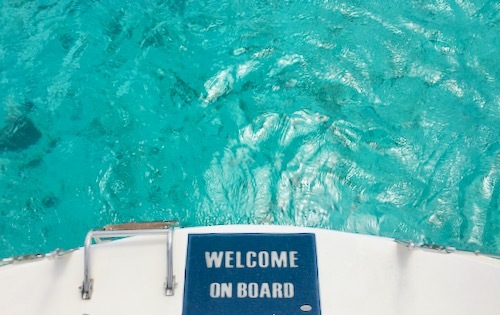 Once you are settled on your private yacht we will provide a guest briefing and then we will head straight out to sea! Our first stop will be Molinere. This is an incredible underwater sculpture park and a great place to snorkel. After we will have a delicious dinner on Nemo and kick-off your holiday in style! 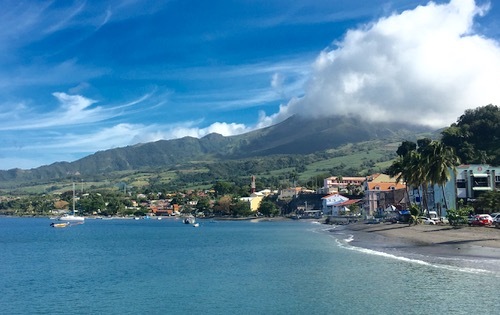 We will sail up the west coast of Grenada today. 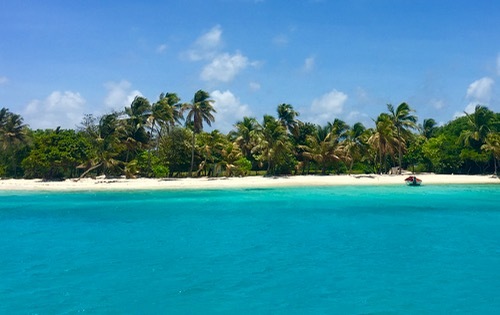 A truly luscious green island that provides a hint of spice in the wind. 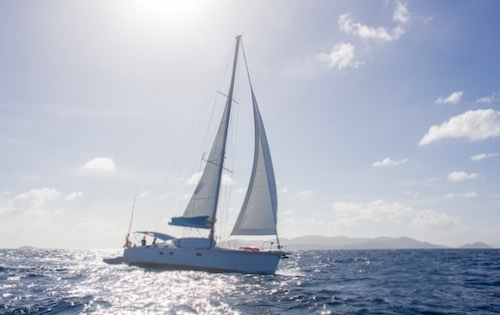 Neil will start showing you how to sail Nemo and if you like you can have a go on the helm or being crew. If you just want to relax and take in the sight…that is absolutely fine too. 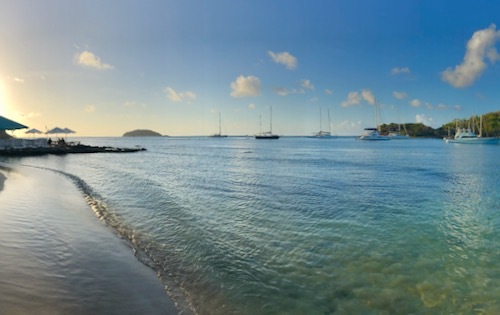 Our destination for the evening will be Tyrell Bay in Carriacou. 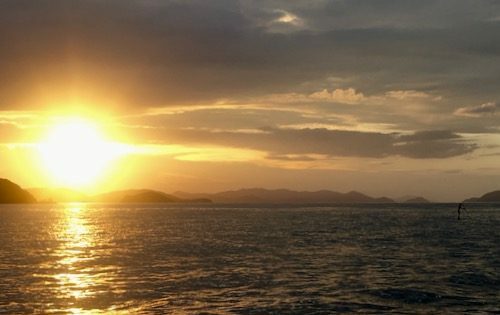 A lovely little island, with rum shops, dotted all along the beach and an anchorage that provides stunning sunsets. 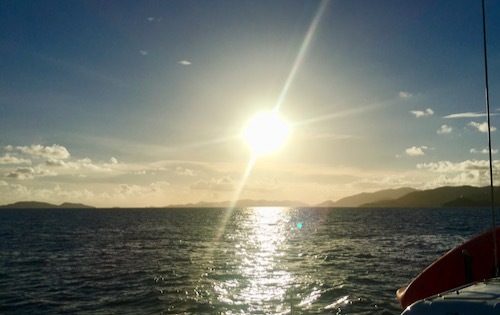 Once you have had a chance to relax we will go ashore for dinner. 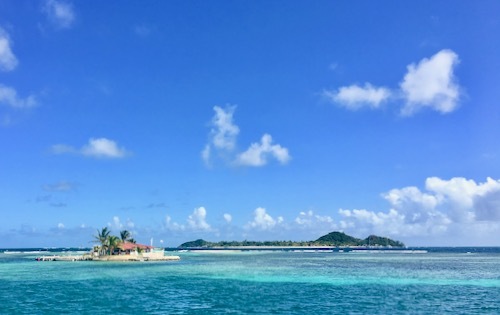 We will have a short sail to Sandy Island after breakfast. 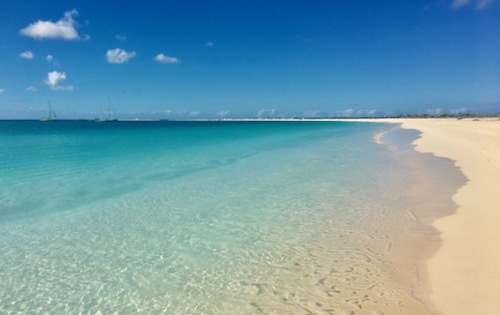 This sandy bar is a great place for a snorkel and for taking pictures on a deserted island! 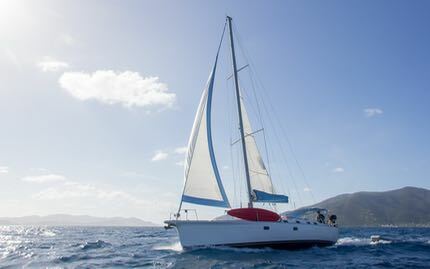 We will then have another short sail to Union Island for lunch and we can also head to see Janti on Happy Island and partake in a cheeky afternoon cocktail if you so desire! After cocktails, we will have an hour sail to the Petit St Vincent where we can have more cocktails on this fabulous private island in Goaties, before dinner back on Nemo. 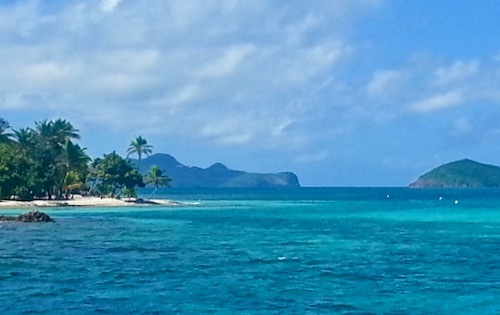 Our first stop this morning will be the sand spit called Mopion Island. After a snorkel and a wander around the island 😉, we will sail to Chatham Bay. 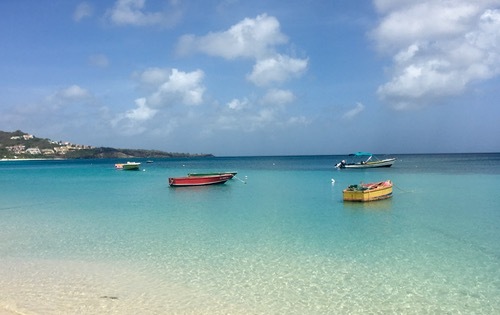 We love this bay as it is really great for snorkelling, kayaking and paddle boarding. 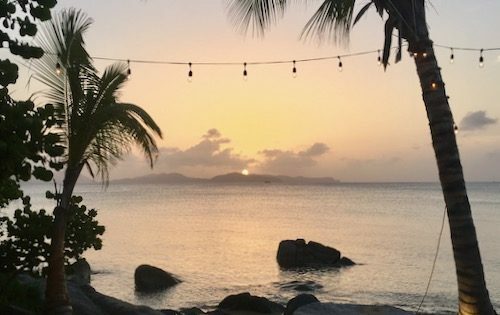 There are also some great local bars to visit for a rum cocktail, such as Vanessa’s. Dinner will be on Nemo. 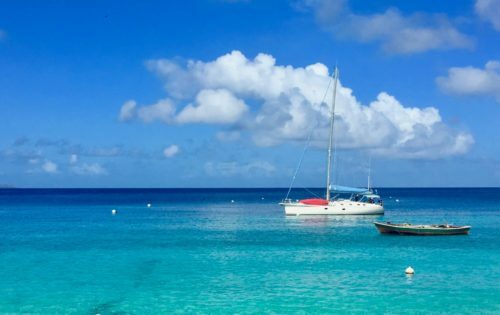 A morning of tacking practice will get you in the mood for a dip and a snorkel in the wonderful Tobago Cays Marine Reserve. 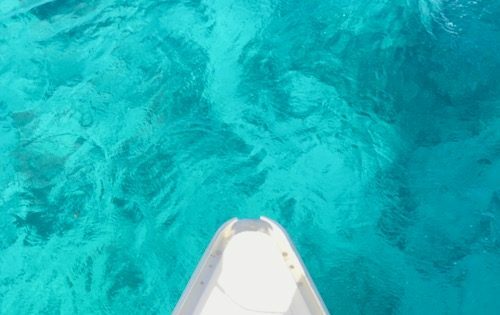 We can take you out to visit some of the islands in Dory the Dinghy and there is some incredible snorkelling to be had at all the reefs surrounding the Cays. 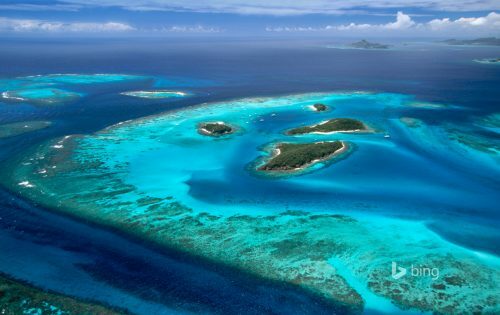 A highlight of the trip will hopefully be swimming with Hawksbill Turtles. For dinner, we will head to the beach for a local BBQ. Willy one of the local boat boys together with his cook, Bets, will create a delicious dinner for us. 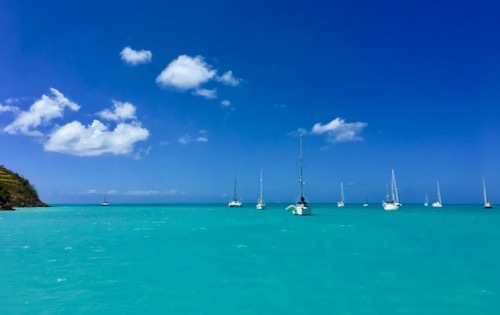 After a leisurely breakfast, we will sail to Mayreau. 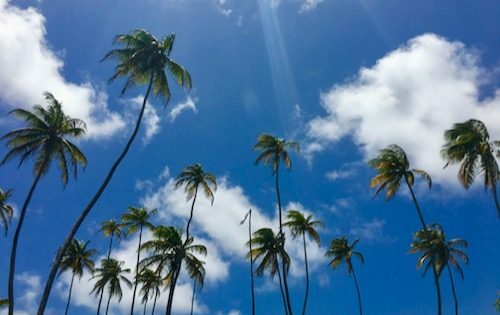 This is a wonderful coconut tree lined beach, fabulous for taking a stroll along, for swimming off the picture-perfect beach and for checking out the kite surfers. Our dinner this evening will be served on board Nemo. 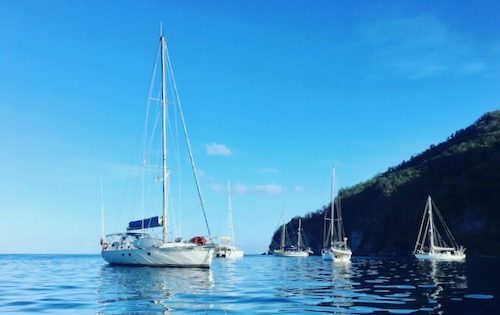 After breakfast, we have an all-day sail to Bequia, one of the most beautiful islands in the Grenadines and there is a lot to explore. 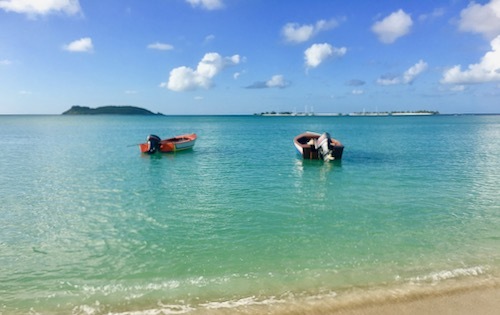 We will arrive in the afternoon, giving you time to take a stroll along the waterfront walkway or snorkel off the beautiful Princess Margaret Beach. Dinner will be ashore in one of the many wonderful restaurants. A shorter sail day today. 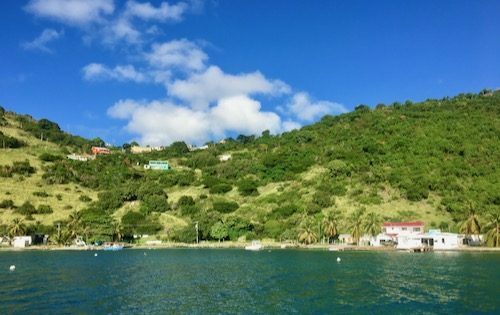 After a leisurely morning, we will sail to Cumberland Bay on St Vincent. 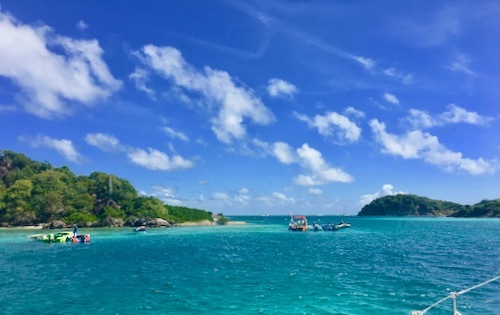 This is one of our favourite anchorages with the most beautiful palm tree lined black beach and we will get a lovely warm welcome from the boat boys who will help us med more. This is another wonderful spot for the kayak and snorkelling and last season we saw a number of manta rays in this bay! Dinner will be on board Nemo. 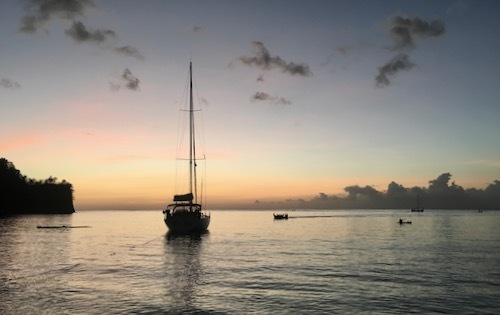 After another relaxing morning, we will sail around the coast of southern St Vincent to Young Island for our last night anchorage. 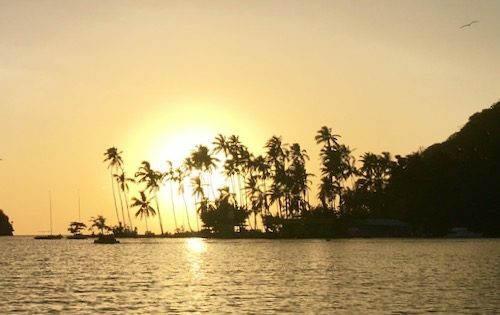 We can pop ashore for sundowners at the Young Island resort and then we will have our final dinner on board. If you have the energy this morning, we would highly recommend a walk up 200+ steps on Fort Duvernette where you will get to see stunning views of St Vincent and Bequia. 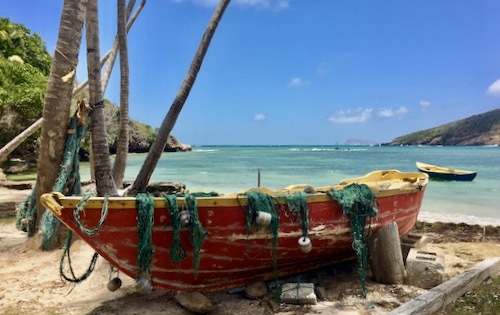 We will then head to the Blue Lagoon Marina on St Vincent for a noon departure to the airport, which is approximately 25 mins from the marina. 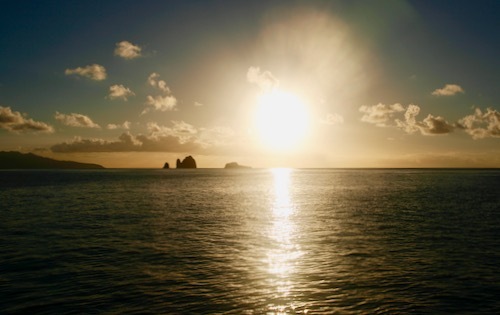 Information about airports and airlines can be found on each of the island destination pages. 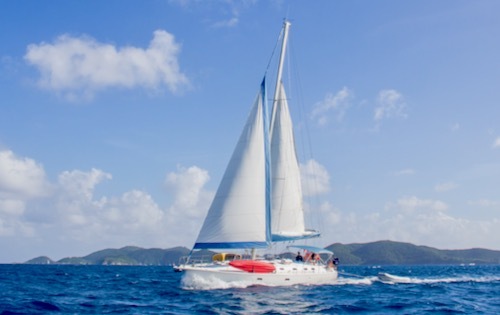 Further information relating to all our Caribbean adventure sailing trips is available on the FAQ pages. 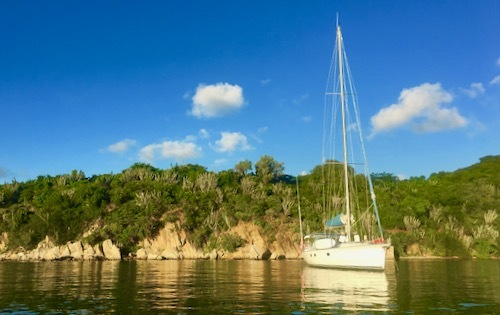 This is a view of our Caribbean adventure sailing trip itinerary in Google Maps, including photos of each of the anchorages. Please note that our cabin charter route may change due to your requests and weather conditions. 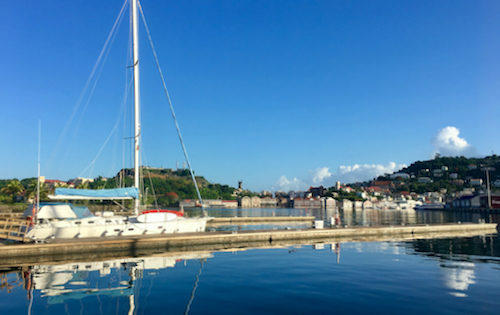 For more information on the islands we will visit during this Caribbean adventure sailing trip around Grenada, The Grenadines and St Vincent please see below. Here you will find an image and video gallery as well as information to help you book flights and transfers.